Ah Doh Know sails to victory before a huge crowd at the Grand Anse Beach, during the Grenada Sailing Festival Workboat Regatta. 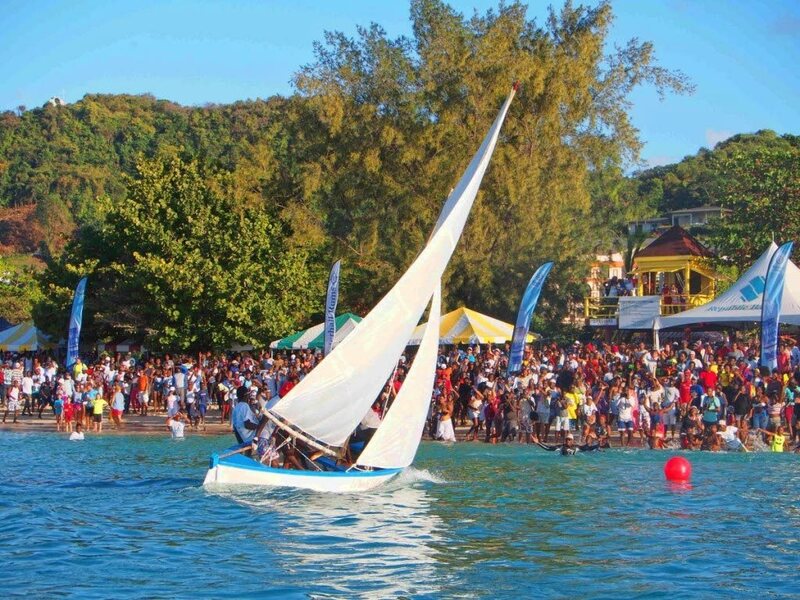 AH DOH Know emerged victorious at the two-day Grenada Sailing Festival Workboat Regatta, which concluded on February 3. The event took place at the picturesque Grand Anse Beach. After a keenly-competitive race, the community of Gouyave dominated the match race finals. The GSF16 Pink Gin, captained by Kimon Charles, won the Republic Bank-sponsored Champion of Champions prize of US $1,000. In second place was last year’s winners Press Play of Woburn and Team Classic, also from Gouyave, had to settle for third spot. In the junior sailing final, Team Mr X of Gouyave came through at the finish line to take first spot, in front of Woburn’s Tomorrow’s Worry. Team Mr X also took first position in the senior national team sailing final. Republic Bank continues to support the preservation of traditional boat-building and youth development, through sport in Grenada. The bank congratulated the participants as well as the organising committee for their dedication in ensuring that this sailing festival is preserved for future generations. Reply to "Ah Doh Know victorious at Grenada Sailing Festival"